A team of German archeologists are going to begin the second season of geophysical surveys in the Chogha Zanbil Ziggurat in early October south of Iran. Equipped with specialized instruments, the Mainz University experts are expected to continue surveys already carried out by their Iranian counterparts in order to identify architectural structures built in this ancient ziggurat, announced Hamid Fadaei, an Iranian archeologist in the site. Archeologists are hopeful to draw out more detailed maps of the area to ensure better preservation. The German team would be led by Iranian archeologist Behzad Mofidi, who is now engaged in preparing their trip to Iran. 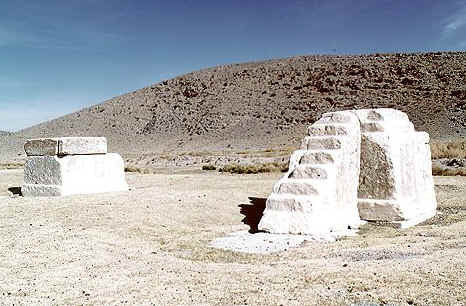 Chogha Zanbil is situated in southwest Iran about 40 km southeast of the ancient city of Susa. It was built on a plateau above the banks of the Dez River. The complex consists of a magnificent ziggurat (the largest structure of its kind in Iran), temples, and three palaces. The site was added to UNESCO's World Heritage List in 1979. Its ancient name is Dur-Untash, which means the castle or the city of Untash. In the 13th century B.C., King Untash Napirisha founded an entirely new city. Its size and splendor was intended to honor the gods and to manifest the power of the monarch. At the center of the city, a ziggurat was built of which two floors still exist. It was surrounded by a wall, which is the inner wall of three concentric walls in Dur Untash. Between the inner wall and the middle wall several temples belonging to different Elamite divinities were built. The outer city wall was about 4 km long enclosing an area of approximately 100 hectares. The royal quarter was situated adjacent to a major city gate some 450 meters east of the ziggurat. In this area, a group of three major buildings with large courts surrounded by lengthy halls and rooms were excavated. Beneath one of theses buildings (Palace I), five underground tombs were found similar to those of Haft Tappeh (Kabnak). The tombs in Chogha Zanbil however were of a much more monumental dimension. The building materials in Chogha Zanbil are mainly mud bricks and occasionally baked bricks. The monuments were well built and beautifully decorated with glazed baked bricks, gypsum, ornaments of faience and glass. Thousands of baked bricks bearing inscriptions with Elamite cuneiform characters were all inscribed by hand, ornamenting the most important buildings. Glazed terracotta statues such as bulls and winged griffins guarded the entrances to the ziggurat. Near the temples of Kiririsha and Hishmitik-Ruhuratir, kilns were found that probably were used for the production of baked bricks and decoration materials. The ziggurat, it is believed, was built in two stages and in the second phase took its multi-layered form.